As Brafton reported, 90 percent of marketers say they will use branded content to support marketing initiatives within the next 12 months. This report supports Content Marketing Institute data that notes 91 percent of B2B brands and 86 percent of B2C companies will also use content marketing as a way to achieve various objectives in 2013. While creating unique, custom content remains a top priority for businesses across the United States, a new study from Wildfire shows that marketers who create content that encourages social interactions are more likely to foster trust with internet users. According to Wildfire, online consumer recommendations are the second most trusted source of brand marketing. Eighty-three percent of consumers say reviews or user-generated content impacts their purchase decisions at least sometimes. More, 80 percent of survey respondents have changed their minds about purchases after reading negative online content. Brands that want to encourage readers to create their own content supporting products and services must create online communities where it becomes easier for customers to share information with like-minded consumers. 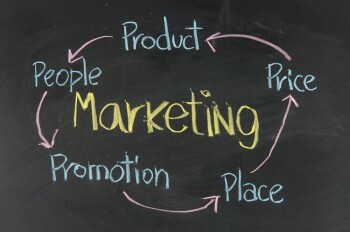 Social media networks, for example, offer brands easy opportunities to spur user-generated reviews. Social media content sparks engagement by asking followers or fans to weigh in on discussions. However, brands also benefit when readers take their opinions and start conversations with their followers on their own walls or news feeds. This online word-of-mouth marketing can encourage prospects who have yet to buy products or services from a company to consider making purchases in the future. After all, people are more likely to buy items that their friends enjoy. In fact, according to Bazaar Voice, 51 percent of Americans trust user-generated content over other information on a company website. 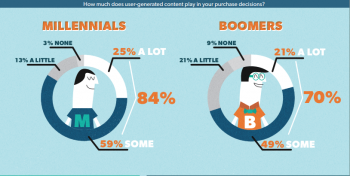 Eighty-four percent of Millennials admit reviews influence what they buy, and younger consumers indicate that they may not buy products without first engaging with online content like blogs and reviews. Marketers who target consumers through web content can also compel readers to craft articles about their experiences. The web remains an interconnected space, and when companies distribute media through social channels, content gets the word out and begs readers to share their experiences with the wider public.